Hoteliers always keep exploring ways to give their business a boost and increase occupancy rates. However the industry is highly competitive and they often keep facing the heat from other segments like alternative accommodation. The challenge is even bigger for individual hotel properties which are in the same game without the kind of resources that hotel chains have. We look at how these individual hotels can leverage technology and digital to stay competitive against the chains. Just having a phone number and email ID won’t cut it anymore. Weigh down all the options you can offer your customer to reach you and start with the best ones. Whatsapp or Facebook Messenger could be a good start point. People who are on the move might not prefer picking up the phone and making a call to place a request and will prefer chat as a medium in many cases. While it is true for almost anyone on social media platforms, it is easier for relatively smaller independent hotels to implement. They have got more freedom on how they present themselves offline as well as online as compared to the hotel chains which have to stay in sync with the brand character. Pick the key traits and start highlighting them on social media one at a time. Even after an excellent stay, most of the guests won’t go to review platforms like TripAdvisor to give you a positive review. Review platforms are your friends as an increased ranking there will significantly affect the number of incoming guests. You can explore different ways to remind your guests to review you on Trip Advisor. A QR Code to the listing page on the bill or a thank you text after the stay with the link could be good for start but it would pay to be more creative with how you ask for reviews. Some guests are more demanding than the others and might not be very happy with the experience. Sometimes guests are unhappy due to incorrect expectations. Whatever be the case, keep all your communication channels open for your guests and encourage them to share any problems they face immediately. This would allow you to avoid a potentially negative review and even turn it into a positive one. There are some tools that allow hotels to invite feedback through the Wi-Fi landing page however we are not certain about the effectiveness of such tools. 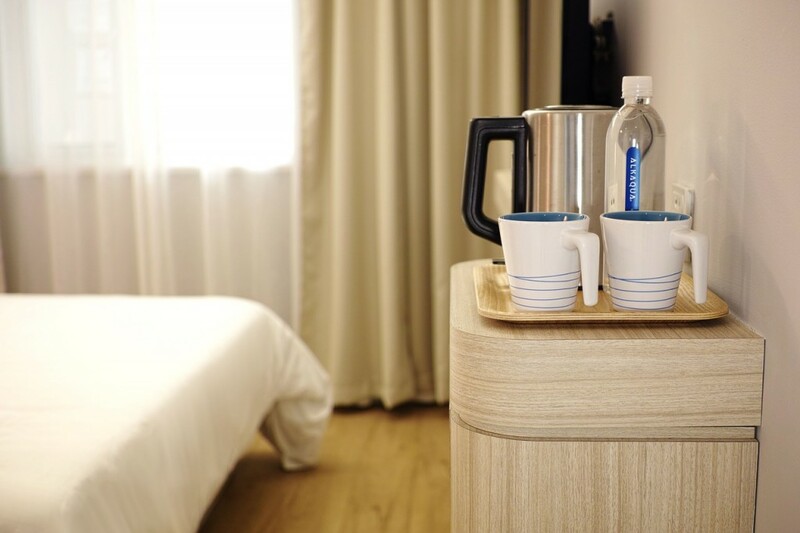 Personalisation goes a long way in enriching the customer experience and while most good hotels ensure that for their frequent guests, IoT technologies can also aid in the process by providing more actionable data. Hotels can explore the option of keyless entry and mobile check-ins. This would not only boost the customer experience but also attract new tech savvy guests to the property. While the investment would be high, implementation would be easier and quicker than across hotel chains. Explore potential partnerships to expand the offerings beyond just accommodation. For instance, you can associate with some quality activity providers in the region and offer them as a part of stay packages at your property. You can also leverage each other’s marketing channels to reach different audience at times. This way, you will be able to reach new customers while being able to offer more than just hotel rooms to your guests. How else do you think individual properties can compete with hotel chains? Do share with us.